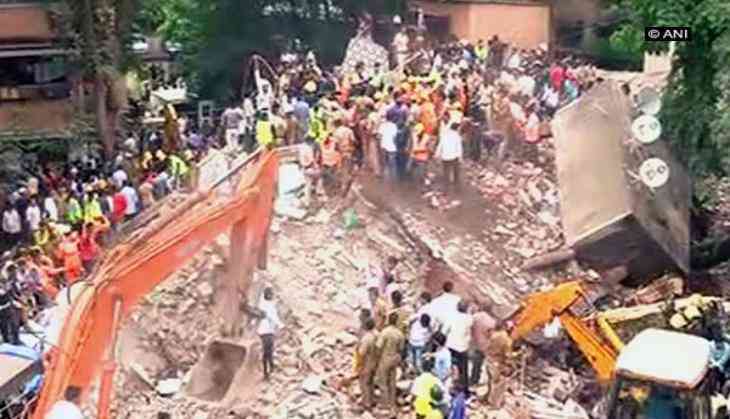 At least five people have been killed and more than 30 feared trapped after four-storey residential building collapsed in Mumbai's Ghatkpopar on Tuesday. BMC Mayor Vishwanath Mahadeshwar who visited the incident spot to take stock of the situation said, "Five people have died and eight got seriously injured." Twelve people have been rescued so far, and efforts are underway to rescue the others. The incident took place at L.B.S. Marg, near Shreyas cinema, Damodar Park, Ghatkopar. Eight fire engines were rushed to the spot. A rescue van along with 108 ambulance also reached the spot.